Our first event was for the benefit of Planned Parenthood. All ticket sales and proceeds raised at the event and any donations will be given to Planned Parenthood, who help people get the health tools and information they need. We raised $1,500 on the night for the cause. Thanks to all who attended and made it a very special night. uncommon ground operates two independently-owned restaurants located in Chicago. We are delighted to partner with their Edgewater location for our launch event. uncommon ground operates the “1st Certified Organic Roof Top Farm in the US” as well as its own brewery, GREENSTAR BREWING, “The 1st Certified Organic Brewery in Illinois” - M.O.S.A. 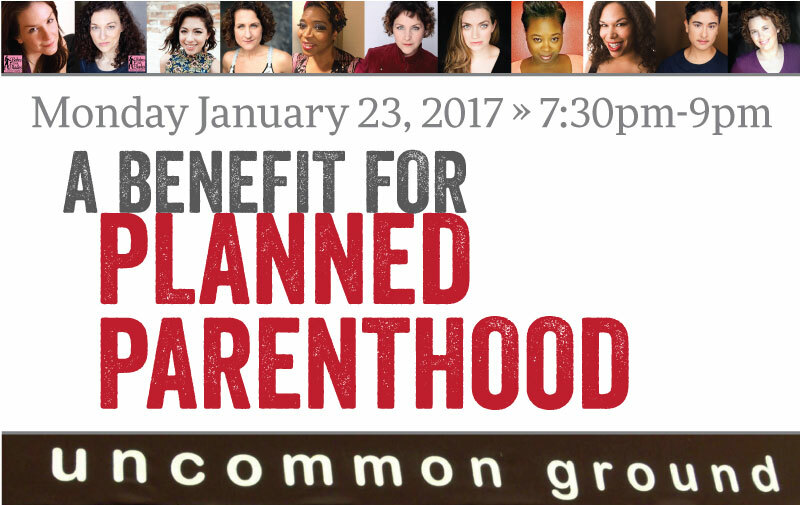 We are proud to be partnering with Planned Parenthood of Illinois for our inaugural event. For nearly 100 years, building healthy communities has been Planned Parenthood's mission. Everyday, Planned Parenthood helps everyone get the health tools and information they need.